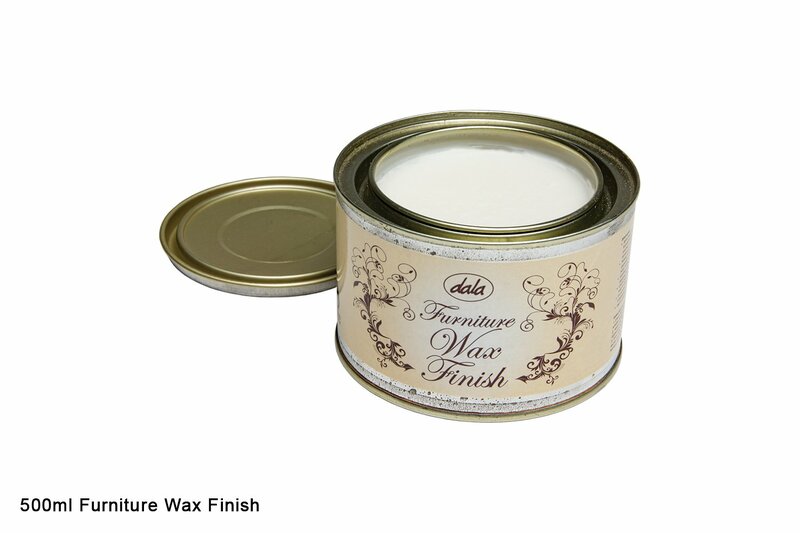 Dala Furniture Wax Finish and Craft Chalk Paint work in conjunction with one another to create beautiful vintage, shabby chic, distressed furniture and other pieces. Waxing and then buffing your painted piece will enhance the hue of the paint, as well as provide a hard, matte water resistant finish. Available in clear natural or antique dark wax. 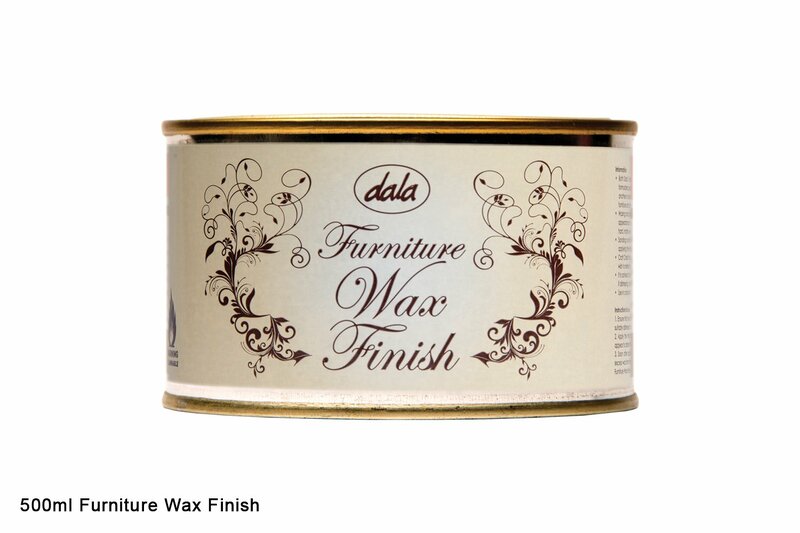 Once you have acheived the desired distressed effect on your painted piece, enhance the hue of the paint and seal with Dala Furniture Wax finish. Sanding and further distressing can take place after the wax has been applied. Important: Work in a well ventilated area, especially if distressing or sanding after applying Furniture Wax Finish. 1. Ensure that the surface of your painted and distressed piece is dust free. 2. Apply the Furniture Wax Finish liberally with a soft cloth. The wax will appear to darken the colour of the paint. 3. Soon after application, use the same soft cloth to remove excess wax from the painted surface, leaving a thin layer of Furniture Wax Finish, for 30+ minutes, to be absorbed by the paint. 4. Use a clean, soft cloth to buff the waxed surface working in small circular motions. You will notice the sheen that this produces on the surface of the paint. 5. Continue buffing the surface until an even effect has been acheived. The piece will be fully cured in 2 - 3 days. Please Note: Furniture Wax finish is not weatherproof. For indoor pieces make use of Furniture Wax Finish. For outdoor pieces use varnish. This item has 1201 views.